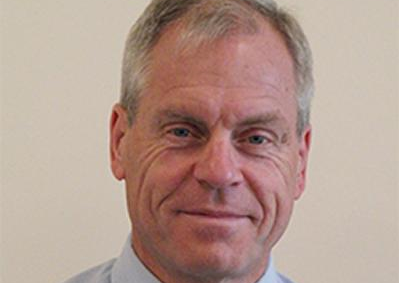 Tony Kendrick, a professor of Primary Care at the University of Southampton, has found through his research and practice that too many people are being prescribed antidepressants long-term without the information and support necessary to get off of them. In this MIA interview, Kendrick discusses the new study he is leading to help identify safe tapering procedures for people who would like to come off of their antidepressant. What made you interested in this work? I am a general practitioner by background, although I’ve been an academic for about thirty years now. In the UK, as in other Western countries like the US, antidepressant prescribing has been going up year after year at a steady rate ever since the SSRIs came out during the late 80s and early 90s. We’ve seen a doubling of antidepressants in the last ten years, and we’ve done previous work on trying to figure out why this is the case. We found in the UK at least, there hasn’t been a great increase in the incidence of depression. There was a small rise after the 2008 financial collapse but over the next five years, up to 2013, depression only went up by about 4%, whereas antidepressant prescriptions went up by 48%. So it’s not that we’re diagnosing more people every year. We are steadily diagnosing maybe 1% of the population with new cases of depression each year and about 3.5- 4% of people with depression overall. That’s stayed fairly steady, but what has increased is the length of treatment. The average length of treatment has doubled over ten years and that is what accounts for the doubling in the number of prescriptions. Prescriptions tend be one month on average, sometimes two, and so if people are on them twice as long they get twice as many prescriptions, and that explains how more than 50 to 60 million antidepressants are prescribed every year in England alone, which only has a population of 50 million. It turns out, when you do surveys that about 11% of all adults take an antidepressant. The figures are similar in the US, as I understand, and you get similar figures in Australia, New Zealand, and many European countries. So that’s more than 1 in 10 people on antidepressants and that surprised us as researchers, because we don’t think the evidence base is really there to support treating so many people. It is close to the figure for statin use, or anti-hypertension use, but for many people, at least half of people who have depression, they only have one episode that remits over time. So it seems wrong that so many people should be on antidepressants long term. The median length now is two years; meaning that more than half of the people are on antidepressants are taking them for more than two years, and commonly many are on them for 5 or 6 years. Again, the information is similar coming from the United States. This varies a bit by demographic. If you look at women of childbearing age from deprived neighborhoods, for instance, nearly one in five can be on antidepressants, nearly 17%. So there is an awful lot of prescribing going on and the questions is: Do people really need the antidepressants? We looked into this and surveys have been done of long-term antidepressant users and somewhere between one-third and one-half have no obvious evidence-based indication to be on long term treatment. Often it is a first-episode they had for which they’ve stayed on treatment; they don’t have a history of recurrent relapses, they don’t have a lot of risk factors for another relapse, and they don’t necessarily have a lot of problems in their life that make them stay on them. Instead, they seem to be staying on them almost by default. The situation quite commonly arises that patients attempt to stop the antidepressants on their own, and they get withdrawal symptoms that include anxiety and mood changes. Then they think that they are slipping back into being depressed again and they restart their medication. If they are advised to taper slowly and they do that, they can still get quite a lot of symptoms and it can go on for months. So, the impetus for this study, rose out of our previous research on the over-prescription of antidepressants and the clinical reality that many people are struggling to come off of these drugs. Can you walk us through the trial you are developing? What are some of the difficulties that come with designing a RCT to study this issue? What are the inclusion criteria and what support will be provided to participants? The inclusion criteria, broadly, are people who have been on antidepressants, not just SSRIs, that were given for depression, or mixed anxiety and depression, who have been on them for more than one year for a first episode or more than 2 years for recurrent episode, and who want to come off. If they’re not sure about coming off, we obviously need to talk to them about why they might want to come off, but it has to be their choice. We are excluding people with a history of recurrent depression that keeps relapsing (more than two previous episodes), those who have ongoing risk factors, life events and difficulties in their lives that are likely to make relapse more common, those under psychiatric care, and those with a history of psychiatric comorbidity. Otherwise we are very happy to work with them. The aim is really to support their existing health professionals, the doctors and nurses looking after them. In our country it is difficult to get frequent appointments because there is a lot of pressure on the system. And in the US, even if you have insurance, it is difficult to get as many appointments as you might want or need during the tapering process. We are going to use a tailored software developed with a program called LifeGuide. LifeGuide was developed in the University of Southampton; it is an interactive software designed to support self-care. 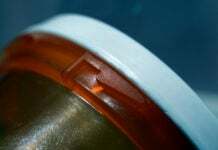 It has already been used for a number of conditions including obesity, back pain, distress, and dizziness, for example. It is adaptable by the researchers and can be adapted to meet your needs of different interventions. Over the next two years we plan to use this program to develop tailored online support for people tapering from their antidepressant. So people will log on, they will fill in information about their situation, the medication they’ve been on, and what they’re trying to do and how they’d like to come off. They’ll be responded to in tailored ways, depending on the information they’ve given. That way they’ll get some support 24/7, but that’s not the only support. They obviously need to see their doctor or their nurse prescriber for support, but not as often as they might have if they didn’t have the online support, and we’ll be giving the GPs and the nurses information about withdrawal and will support them through this trial. They will also have a telephone line during working hours to a primary care mental health worker. That is somebody, usually a psychology graduate, who will have training in CBT based therapy who can also give them some support. The fourth support is buddying, support from somebody who has previously come off of antidepressants, a lay person and a fellow patient. This has worked for alcohol, smoking, and benzodiazepines, and may also work for antidepressants. So it is a complex package that we are developing. We won’t have a set withdrawal regime that everyone will follow. It is individualized and tailored to the patient. What are the outcomes that you and your team are looking for? The primary outcomes are depressive symptoms and cessation of antidepressants. So we’re aiming to have non-inferiority of depressive symptoms, no worsening of depression, in the intervention group compared to the control group, which receives usual care. The aim is to help people to come off antidepressants without making them depressed, obviously. The primary outcome will be measured at six months, but we are going to be measuring depression more frequently than that – every six weeks. We are going to use the PHQ2 every week and the PHQ9 every six weeks to measure depression and if the PHQ2 is positive for depression that will trigger a conversation with a mental health worker to decide if the participant needs to go back to see their doctor. Cessation will be measured by the proportion of people who stop their antidepressant during the trial. We are hoping that at least 20% will be able to stop their antidepressant compared to about 7%, which is the figure you get for usual care over a single year. While many medical guidelines suggest the short-term use of antidepressants, there doesn’t seem to be much guidance available when it comes to taking patients off of them. What have you found in the literature concerning speed and protocols for antidepressant tapering? The guidelines don’t really address this, you’re right, we haven’t found any obvious guidance. But, very roughly speaking, what we’re advising people here is this: If you’ve been on antidepressants for a few weeks, it’s going to take days to get off them; if you’ve been on them for a few months, you’re going to need weeks to get off them; and if you’ve been on a few years, you’re going to need months to get off them. This creates an expectation that helps prevent coming off them too quickly. Tapering procedures also differ by antidepressant and some of them have more problems than others. Fluoxetine, with a long half-life, doesn’t tend to create quite as many problems if you stop it slowly, and you can go on to liquid form in order to drop your dose in degrees. Paroxetine, on the other hand, has a short half-life, and that can cause a lot of problems. We don’t really prescribe a lot of paroxetine here these days. Citalopram and sertraline are probably somewhere in the middle. So it varies with the drug, it varies with the individual, and you need to be prepared to stop them slowly and monitor the patients while they stop them. We are going to be looking at all of the relevant studies through a systematic literature review but the protocol expert on the team is Joanna Moncrieff. Joanna is a psychiatrist at the University College London and she will be advising us on tapering regimes. But, what I want to say about tapering regimes, is that they need to be very flexible. Sometimes you don’t get beyond step one with a patient before you have to revise what you’re trying to do because they can’t continue to follow the regime you’ve set up together. It is going to be trial and error, I think, as it is still the start of this line of study. What are the user experiences reports of withdrawal from antidepressants? 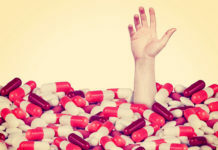 In the literature, researchers have suggested that antidepressant withdrawal symptoms are temporary, that they’re transient, that they should be over in a matter of days or weeks, but there is actually quite a lot of testimony from people who have been on antidepressants for a long time that they’re getting symptoms that persist for months and sometimes even years. This has mainly come from survivor groups, like Surviving Antidepressants and the UK lobbying group the Council for Evidence Based Psychiatry (CEP). These groups have been quite helpful in bringing together case histories of people who have had a hard time getting of antidepressants. We did some qualitative work ourselves with people who had been on antidepressants for a couple of years, and we found that a lot of them were very unsure what they should do and had mixed feelings about coming off of the drugs. Their doctors had often said to them, when they first put them on the antidepressant, “You need this because you have a serotonin deficiency and you need to build up your serotonin levels.” So they came to see themselves as having this deficiency, which logically meant that they would always need to be on their antidepressant. This very simplistic view was promoted and pushed by the drug companies, and we GPs are guilty of passing on that message, unfortunately, which has given people the idea that they should be on antidepressants for life. Similar work was done in the Netherlands by Rhona Eveleigh, who did her PhD in this area. They did qualitative work finding that the way GPs presented SSRIs tended to make people think that they needed to be on them for a long time, if not for good. Patients also told us in our interviews that, in the absence of being called in by their doctors, they just assumed that they should carry on taking this medication. 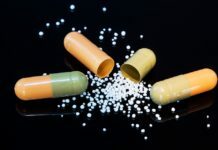 The doctors were often prescribing these drugs for a year or two years without any review, whereas the guidelines recommend that these patients be seen every two months. It is partly because of the pressure on the healthcare system here, but the easiest sort of fallback position seems to be to just park people on antidepressants and then not tackle the slightly difficult question of how to get them off. Can you expand on the difference between withdrawal and relapse? I think it is tricky sometimes, but it is about the range of symptoms, the impact on functioning, and, certainly, the duration of the symptoms. We are working with Dee Mangin, from the University of Otago, New Zealand, who has carried out a placebo controlled trial of withdrawal from antidepressants. She has a protocol from that study that looks at those factors and is quite successful at distinguishing between withdrawal and depression. In her trial, she was aware that half the patients were still getting the drug and half were getting placebo, and so they couldn’t actually be withdrawing if they were still getting the active antidepressant, so that was a kind of gold standard. Their protocol was able to tell the difference between withdrawal and depression. This hasn’t been published yet, but it is about to come out. Giovanni Fava’s work suggests that some drug-induced changes in the brain might be irreversible beyond a certain point and that this can lead to protracted withdrawal symptoms, do you anticipate that this inability to successfully withdraw after long-term use will impact your results? This is not my expertise, but I wouldn’t be surprised if that were the case, given the case histories that have come out of user experiences. Luke Montagu of CEP, for instance, will tell you that some of his problems have been permanent really. We recently held a committee hearing here in the UK parliament and CEP and Luke Montagu were involved in that, and Robert Whitaker testified about some of the neurological evidence for this. I am sure that there will be people who are unable to come off of antidepressants and that that will be one of our outcomes in this study. There has been back and forth about whether to refer to this phenomenon as discontinuation syndrome vs. withdrawal, what is your sense of this issue? Yeah, I think that there is a semantics issue here because patients often ask us if antidepressants are addictive, and while the official answer is no, that might be a slightly technical answer, and I think it isn’t completely honest. The answer is no, they’re no addictive, because they only have some of the elements of addiction. They have withdrawal symptoms and psychological dependency, for instance, but they don’t have, as far as we know, physical dependency (in other words there aren’t physical changes that those drugs need to be there to compensate for), and there is no evidence of tolerance (people don’t need to increase the dose), and there is some debate over whether there are cravings. So because they only display some of the features of addiction, and because withdrawal symptoms don’t constitute addiction on their own, the technical answer is no, but I think that is slightly specious. If you get enough withdrawal symptoms and you feel that you’re missing the drug and feel that you want to go back on it again, that is pretty close to addiction for me. So I think it is a semantic difference, but, on balance, I would say that using the term withdrawal is more accurate than using the term discontinuation syndrome. There is a growing body of research connecting antidepressants with agitation, “akathisia,” and impulsive and even criminal behavior, especially in adolescents and young adults. Some suggest that the greatest risk for these effects exists during periods of rapid change, such as an increased dose, a new antidepressant, or a rapid withdrawal of the drug. How have you considered this research and its impact on your study? I am certainly aware that when people are starting an SSRI, whether this is a new prescription or they are switching from one to another, there is a period where there is a heightened risk for impulsive behavior, either destructive behavior and self-destructive behavior, along with anxiety. Particularly when people are already anxious to start, we advise doctors to start with low doses and work up gently. So that is a phenomenon that we are aware of, particularly with younger patients. While I haven’t seen as much on this related to withdrawal, I wouldn’t be surprised to see that people get anxious and that might make them more impulsive. Previous articleDear Boston Globe, Part III: We Came. We Protested. You Still Didn’t Listen. Why is AKATHISIA in inverted comma’s? This is the most dangerous of the array of toxicities of SSRI’s and evidence continues to be published linking SSRIs / psycholeptic induced suicidality and homicidality to cytochrome CYP 450 genomic variants. This indicates impaired metabolism of SSRIs causing AKATHISIA and it’s catastrophic sequalae. Hence it’s relevance in forensic psychiatry. I fear that this acute, life threatening, and indeed life destroying neurotoxic, extra-pyramidal movement disorder is poorly recognised and under-diagnosed. It is perhaps more likely to be misdiagnosed as a Serious Mental Illness and then made worse by detention and enforced further toxicity with SSRI’/SNRI’s and antipsychotics. This diagnostic failure is because these medications, via akathisia, can cause extreme and unusual psychological and behaviour changes dominated by overwhelming agitation. “The combination of medication, fluctuating restlessness, suicidality, aggression and toxic hallucination are pathognomonic of akathisia. We cannot find any other diagnosis in medical taxonomy that combines suicidal and aggressive thoughts with medication, nor any other that recedes when the culprit drug has been taken away”. Looks like the wheels are coming off this bus. Personally I think the time if ripe for banner drops outside pharmacies and GP surgeries. Uh huh. And what would the banners say? …and herein lies the rub. Yes, these awful drugs are massively over prescribed and no-one is warned of their dangers or their addictiveness, so people simply are not prepared for the difficulties that befall them when stopping. Telling people to cease medication abruptly is cruel, irresponsible and potentially dangerous, but if they go to their doc and ask, any difficulty is put down to the return of “mental illness” and not the drug. Until the medical profession actually changes its tune and decides to behave ethically, banner drops are likely to weaken the cause if they encourage people to abruptly stop their meds, and their resultant suffering only gives credence to the belief that “anti-psychiatry” is clearly populated by dangerous nutters. Primary care physicians must be educated and be in a position to help people transition off these drugs. is my slogan, the rest is in the press release which highlights any help available for coming off antidepressants. If you make the message clear that they are addictive in the banner drop and then back it up in the press release the message should be simple enough to understand. Better still combine a banner drop and a press release with setting up a support group for coming off them. Remember to make sure to say this is being done because psychiatry is evil and in the pay of drug companies. A banner drop, a press release and a speak out by people who have been made ill by the drugs, including those who are struggling to come off them would be even better and might put pressure on GP’s to set up withdrawal services and prescribe them less. And I do agree, the PCPs need to learn about this, since currently they’re misdiagnosing these ADS symptoms as ‘bipolar.’ And adding an antipsychotic to an antidepressant is stupid, and this is what happens with such blatent DSM misdiagnoses, since it can make the person “mad as a hatter,” via anticholinergic toxidrome poisoning. It is sad so many are being harmed and killed by today’s misinformed medical community, who realistically show know better.